We have been working hard on developing our understanding of SORTING. 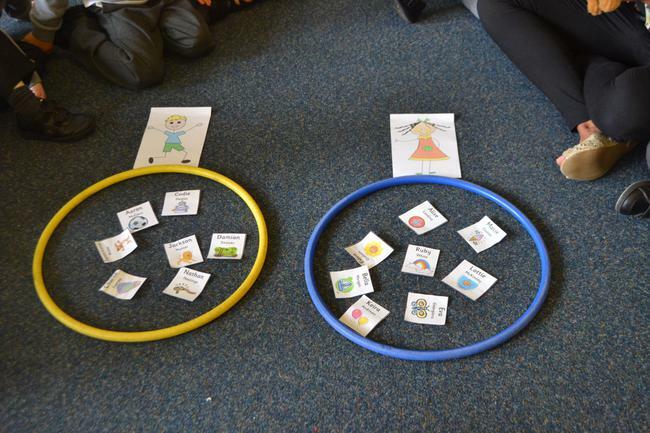 We have worked TOGETHER and SORTED ourselves according to AGE and GENDER. SORTING - Boy or Girl? Sorting by age - 4 or 5?